Group Visits at The Riverside Wine Bar01291 628300work Group VisitsThe Riverside Wine Bar in Chepstow welcomes coach parties for teas, coffees, lunches and evening meals. Curtis and his team at The Riverside Wine Bar look forward to welcoming you to this stylish venue. 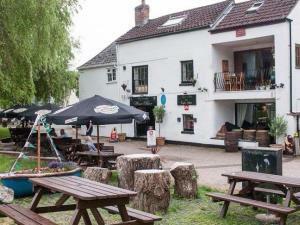 Situated in idylic settings beside the River Wye, it is the perfect place for your group to enjoy. Please phone in advance on 01291 628300 to book your group and receive 10% off our main menu meals. Serving an extensive selection of wines, spirits, cocktails as well as lagers and real ales. The Riverside Wine Bar in Chepstow welcomes coach parties for teas, coffees, lunches and evening meals. As well as an excellent choice of drinks, you can also order from a great selection of Tapas, or just sit back with a coffee and a piece of homemade cake.